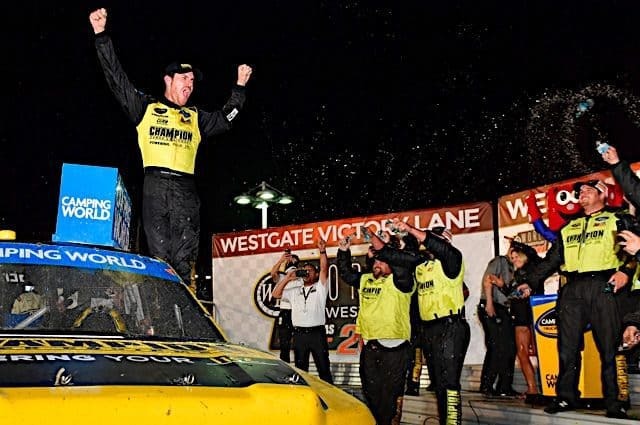 In a Nutshell: Grant Enfinger scored his first win of the 2018 Camping World Truck Series season Friday night when he bested Johnny Sauter by 0.142 seconds in the World of Westgate 200 at Las Vegas Motor Speedway. The driver of the No. 98 Ford led a race-high 40 laps, including the final two when Brett Moffitt ran out of fuel in a race that went 10 laps past its scheduled distance. “It was an unbelievable day,” Enfinger said. “We’ve put together individual performances that could’ve won a race throughout the year – probably had a handful of could have, would have, should haves, and this was the first time we put the whole package together. Justin Haley followed up his win in Canada with a third-place finish in Vegas, giving him an average finish of 2.0 in the playoffs. Teammates Ben Rhodes and Matt Crafton, who both started at the rear of the field following unapproved adjustments, rounded out the top five. 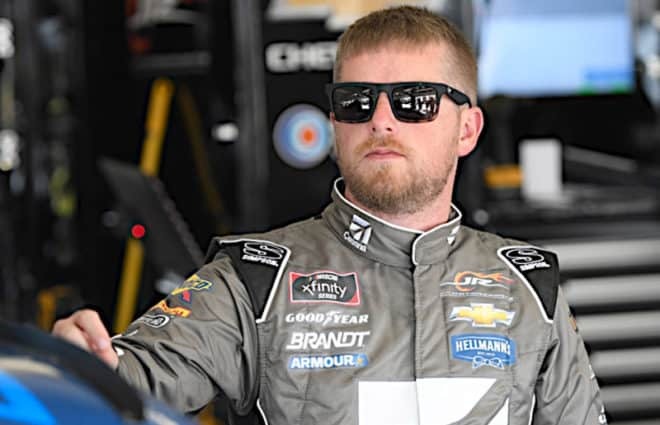 Who Should Have Won: It’s incredibly difficult to bet against the driver who ultimately ends up in Victory Lane, though there are circumstances where a driver gets lucky rather than having speed. In this case, though, Enfinger clearly had a strong truck and was able to capitalize on a bit of misfortune for a fellow competitor to lock himself into the next round of the playoffs. The World of Westgate 200 was slowed by nine cautions, not including stage breaks, and the first came just five laps into the event. Tanner Thorson made his sixth start of the season for Young’s Motorsports Friday night, but his race was cut short due to crash damage. The driver who had finished inside the top 20 in all five of his prior starts moved up the track when Myatt Snider slid up the track. While the contact with the wall was substantial, plenty of drivers have been able to take their trucks down pit road for minor repairs before continuing to race. But that wasn’t the case for Thorson after the seemingly normal hit to the wall. Headed toward pit road, the right front burst into flames, forcing Thorson to pull over and get out of the truck in a hurry. He finished a disappointing 32nd after just five laps of competition. 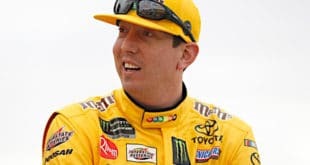 For a moment, Kyle Busch Motorsports was on top of the world in Las Vegas. 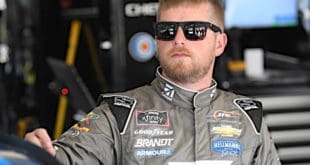 One race removed from a pair of KBM teammates spinning out together on the white flag lap at Canadian Tire Motorsports Park, the organization put all four of its trucks inside the top 10 after qualifying. Noah Gragson, who dominated in his only victory earlier this season at Kansas Speedway, started on the pole for the fifth time this year. Riley Herbst qualified fifth, followed closely by Brandon Jones in seventh. Meanwhile, Todd Gilliland snatched the final top-10 starting spot. When the green flag flew, Gragson led every lap for his 10th stage win in stage one and ended up third in stage two. But he later suffered a cut tire and a commitment line violation that took him out of contention for a win. Two free passes later, thanks to a flurry of late-race cautions, Gragson took the checkered flag in 18th, one lap down. Starting in the third row for his third race of the season, Herbst posted his career-best qualifying effort, but that didn’t translate into a strong race for the 19-year-old. He tangled with the wall and retired after just 56 laps to a 29th-place finish. A tough break for @rileyherbst. Not far behind Herbst was Brandon Jones, who started right behind his teammate in his fifth and final race of the season. But despite finishing the stages fifth and ninth, he retired early with mechanical issues. While running fifth in the final stage, he took the truck down pit road with motor concerns, and his night ended there with a 26th-place finish. “In the second stage we started to lose some track position there and people were side-drafting hard and pulling us back. We got buried in traffic,” Jones explained. “(Mike) Hillman (crew chief) made the right calls and we pitted on two tires and I know sometimes two tires can lose some races, but that got us our track position where we needed to be and got our nose back in clean air. 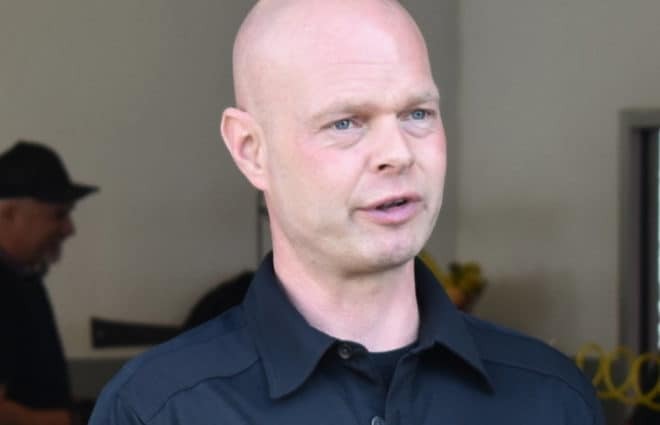 Bringing up the rear as far the KBM teammates go was Gilliland, who left Canadian Tire Motorsports Park angry, feeling like he had something to prove. After ending the first stage in fourth, a pit road strategy play put him deep in the field toward the end of stage two. He restarted with the lead in the final stage and held the top spot for five laps before dropping back a few positions. While side-drafting with Stewart Friesen, Gilliland slid up the track and turned himself across the nose of Jesse Little‘s No. 97, which ultimately resulted in terminal damage that ended his night in 27th after completing just 86 laps. “I was trying to get a little bit of a side draft off the 52 (Stewart Friesen) and I had a really good run on him,” Gilliland said. “I was trying to pull him off of Turn 4 to get some momentum getting into Turn 1 and the 97 (Jesse Little) was just right there at my bumper cover. I just kind of went up and hooked myself into the wall. When the entry list came out for Las Vegas, a whopping 38 trucks were entered for a race that usually struggles to put together a full field. By the time qualifying rolled around, three trucks withdrew, leaving 35 to qualify for 32 starting spots. Tate Fogleman, JJ Yeley and Norm Benning failed to qualify. 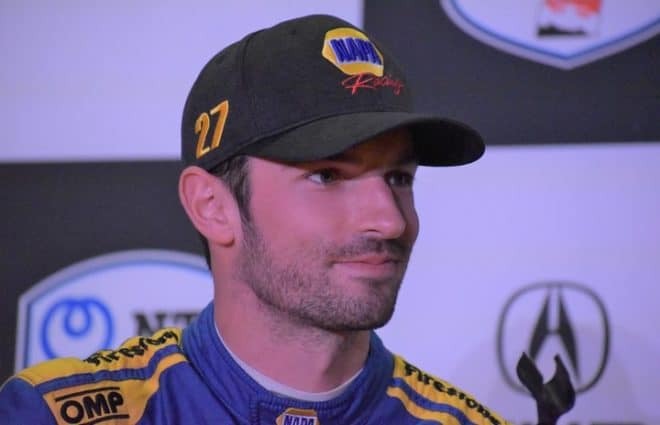 Austin Theriault made his first start since 2016 with new team On Point Motorsports. After qualifying 21st, the driver of the No. 30 Toyota stayed out of trouble and walked away with an eighth-place finish in the organization’s second start. The race in Las Vegas was extended a whopping 10 laps beyond its scheduled distance, thanks to a trio of overtime attempts. It all started with a spin by Stewart Friesen, followed by an incident that involved Cody Coughlin, John Hunter Nemechek and Theriault. The came the Big One that collected nine trucks and resulted in a red flag. Points Update: Grant Enfinger’s victory allowed him to lock into the Round of 6, along with Justin Haley, who won at Canadian Tire Motorsports Park last month. 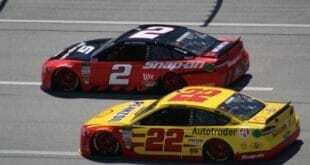 The pair of drivers can head to Talladega and breathe a sigh of relief while the rest of the playoff competitors hope to survive the next race and move on to the Round of 6. Johnny Sauter remains the championship leader with a healthy 40-point lead over Noah Gragson. 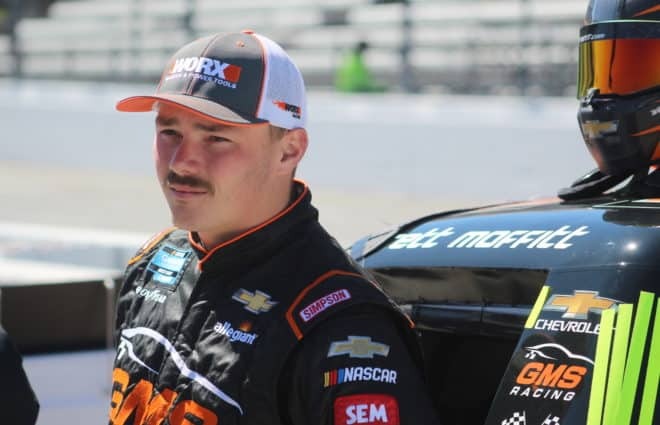 Brett Moffitt sits third, followed by Justin Haley. ThorSport Racing teammates Matt Crafton and Enfinger round out the top six. Meanwhile, Ben Rhodes and Stewart Friesen look to keep their championship hopes alive as they both currently sit below the cut line. Rhodes is five points behind sixth, while Friesen finds himself eight markers in arrears. 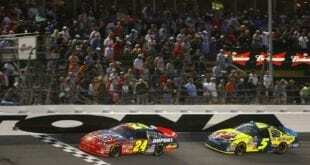 The pair has one more shot at Talladega next month to put themselves in the next round. Made a few big mistakes tonight and just over drove into bad situations. Thanks as always to all my great friends and fans for all of the support. It’s humbling and overwhelming. Thank you! Up Next: The Camping World Truck Series takes a month off before heading to Talladega Superspeedway to close out the Round of 8 on Saturday, Oct. 13. Coverage for the Fred’s 250 powered by Coca-Cola begins at 1 p.m. ET on FOX; the race can also be heard on your local MRN affiliate or SiriusXM NASCAR Channel 90.